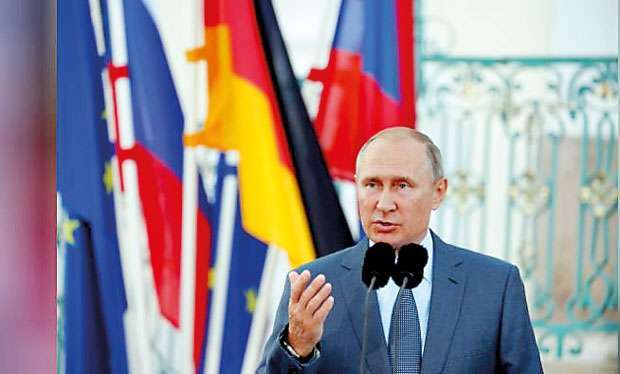 LONDON (Reuters), AUGUST 21, 2018- Britain on Tuesday will call for the European Union to increase sanctions against Russia, saying the bloc had to stand “shoulder to shoulder” with the United States, which hit Moscow with new economic curbs this month. Britain’s Foreign Minister, Jeremy Hunt, will say that Russian President Vladimir Putin has made the world “a more dangerous place”, and that after a chemical weapons attack in England, the EU should apply more pressure to ensure Russia sticks to international rules. “Today the United Kingdom asks its allies to go further by calling on the European Union to ensure its sanctions against Russia are comprehensive, and that we truly stand shoulder to shoulder with the US,” Hunt will tell an audience in Washington in his first major speech since his appointment in July.